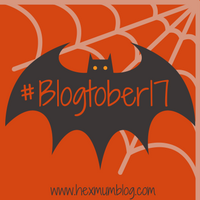 #Blogtober17: “All About You” – Cindy T. Graham, Ph.D. Speaking about myself tends to feel a bit awkward. I have written a few posts for others, including Brigitte White, D.D.S. on work/life balance and Speak Away The Stigma when I wrote about my commitment to mental health advocacy. The most personal information I have revealed about myself to date was for an episode on Growing Up Haitian for the VagEsteem podcast where I talked about what messages I received from my parents and family members growing up in a Haitian household. So what else should I share about me? Well, since I was a young child I knew I wanted to be a mom. And work full time. I knew where I wanted to go to school (Princeton University–go tigers!!) and my entire childhood revolved around doing whatever necessary to achieve that goal. I took all of the “right” classes and participated in all of the “right” extracurricular activities to help get me there. I didn’t mind school–as a matter of fact I loved school. Even my most difficult classes I saw as a necessary stepping stone toward Princeton and ultimately embraced them for what they were. The effort paid off. I achieved my goal of getting accepting and graduating from Princeton. Fast forward about 10 years. I found myself a mom (of two boys), wife, and psychologist. Somewhere along the way I lost my way a little bit. I lost sight of my goals and lost the sense of where my life was headed. Each day seemed like the same routine and I felt like I was not doing anything in my life as effectively as I had in my childhood and teenage years. Specifically, I worried about how I would juggle family and professional life if I really pursued my career goals. After visiting with a close friend earlier this year I realized I needed to stop being afraid to step into all of my roles. At that point I decided to pursue my career more aggressively. And I am so thankful I did. I feel a greater sense of purpose and contribution to the mental health field and I have achieved this in a way that has allowed me to better balance all aspects of my life. There you have it. A little bit more information on who I am. You should probably also know I love the New York Giants, Knicks, and Yankees. I get pretty worked up when I watch these teams play. Especially if they are losing. But rarely do I get to watch sports any more. Check out the challenges for the rest of the month on Mandi Morrison’s website.